Primary Beginnings works hard to create and maintain a quality learning environment for your child’s creativity and abilities to develop and expand. We offer child care programs in Raleigh that are structured to your child’s developmental and educational milestones. Our preschool curriculum follows your child throughout their entire journey at our Raleigh preschool, from birth to Kindergarten, evolving with them as they move through each step. Every day at our Raleigh preschool is a new adventure for our teachers and children. Each day presents new activities and experiences that are carefully planned by our 5-star preschool staff. Each activity expands the mind, whether it’s story time in the reading circle or planting fruits and vegetables in the garden. And because we value your child’s safety more than anything, we make sure we maintain a 5-star quality environment that you, as a parent, expect. We hope you will spend time visiting our website and getting to know our Raleigh preschool and child care programs. We invite you to call for more information or to schedule a tour of the centers. We will do our best to answer all your questions so that you can make the best choice for your child’s care. We Serve NC Grown fruits and vegetables! Farm to Child Care (F2CC) is bringing North Carolina grown fruits and vegetables into child care facilities for meals and snacks. 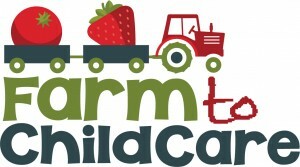 Farm to Child Care is an extension of the Farm to School/Farm to Preschool efforts across the United States, and it is about connecting young children with local foods. This child care facility places a priority on buying NC grown produce and serving it at least three times a week. We’d love to provide you with more information about our 5-star rated preschool center! Feel free to contact us with any questions you have or to schedule a tour of our Spring Forest Road location or our North Hills Drive location.